There will be a major changing of the guard at New York City FC next season as David Villa won’t be in the Starting XI. The Spanish international Wednesday announced that he will leave the Major League Soccer club when his contract expires on Dec. 31. Villa, the team’s captain since it kicked it first soccer ball in competition as an expansion team in 2014, scored a team-record 80 goals in 124 MLS matches. 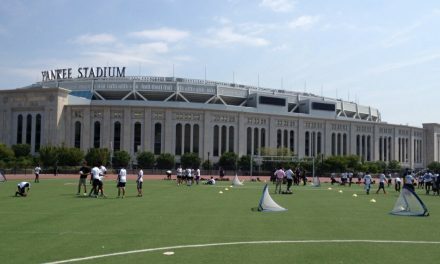 He will announce his “next destination,” NYCFC said, in the coming days. There were some reports that hinted that Villa could join his former Spain international teammates Fernando Torres and Andres Iniesta in Japan’s J League. “I can only say thank you, thank you to everybody,” Villa said. First, to City Football Group that gave me the opportunity to come here. To NYCFC and MLS for accepting me. To everybody at the Club who helped me day-by-day. Interestingly, there were no comments from NYCFC head coach Domenec Torrent made available to the media about Villa’s departure. NYCFC vice chairman Marty Edelman, however, praised his former striker. “David Villa encompasses the values that we have here at New York City FC. The impact he has had on not only this club, but in this City, cannot be measured in just goals or assists,” he said. Villa was one of three high-profile signings by the team, joining the club prior to former Italian World Cup champion Andrea Pirlo and England international Frank Lampard. 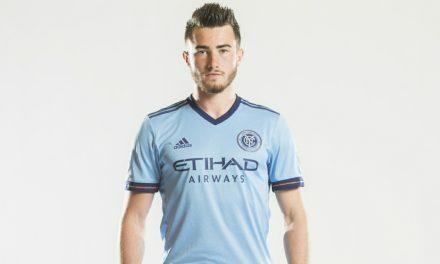 In fact, the Spaniard was the first signing by NYCFC, coming aboard June 2, 2014 after completing some time with Atletico Madrid in Spain’s La Liga. He joined the team as a World Cup champion (2010) and European champion (2008) as well. In his first season with City, Villa was one of the few shining stars of an abysmal maiden season, connecting for 17 goals. He enjoyed his best MLS season in 2016, scoring 23 times while earning league MVP honors. He added 24 goals across all competition in 2017, inlcuding a hat-trick in a 3-2 triumph over the Red Bulls in the Hudson River Derby at Yankee Stadium. Villa struggled through injuries this past season with his poorest production of his four-year tenure, tallying 15 goals in 23 starts. 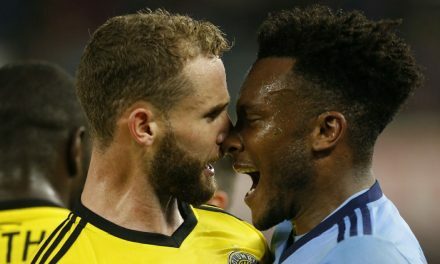 “David has been an incredible ambassador and captain to this club since the moment we signed him,” NYCFC sporting director Claudio Reyna said. “His professionalism and leadership helped us through the challenges that a new team faces when they come into the league. He’s represented New York City FC tremendously both on and off the pitch and has been a real leader for this football club.